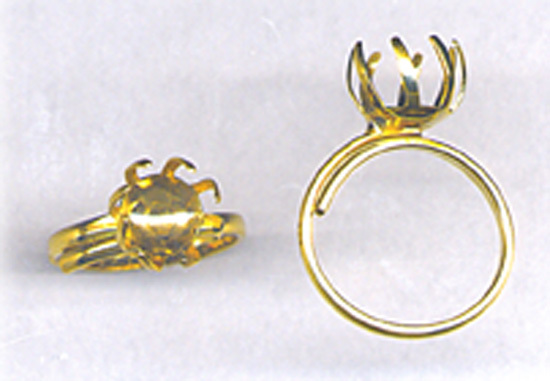 Jewelry Findings - Rings, Bracelets, Neck Chains etc. 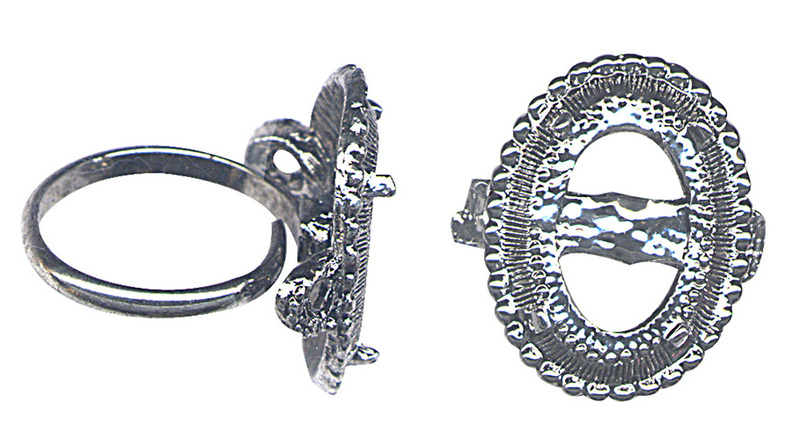 Rings and Bracelet Jewelry Findings with vintage and classic styling are ready for your creative additions. Gold Or Silver Finish Resists Tarnishing. with Adjustable Band. Antique Silver finish resists tarnishing. Holds 3/4" x 1/2" insert. Cast Metal top. Band can be easily bent by hand up to size 9. 18"L - Bright Anodized Aluminum with SILVER finish resists tarnishing. NOTE: Spring-style CLASP IS TARNISHED. 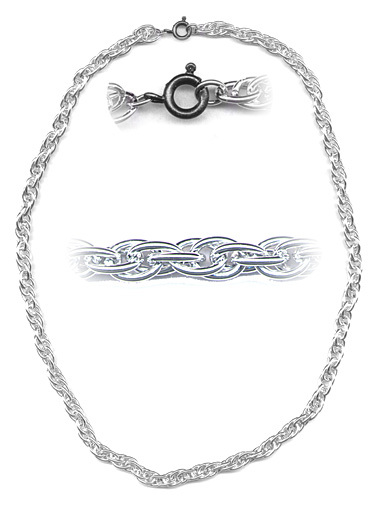 Clasp can be replaced with a different clasp if so desired. with bright GOLD finish that resists tarnishing. 6-1/4"L x 7/8"W. Snap closure. Will hold six 3/8" round balls in filigree cups if so desired. (Balls not included.) Stamped metal. with bright GOLD finish that resists tarnishing. 1" round with open scalloped rim. Includes metal thread loop on back. Stamped metal. 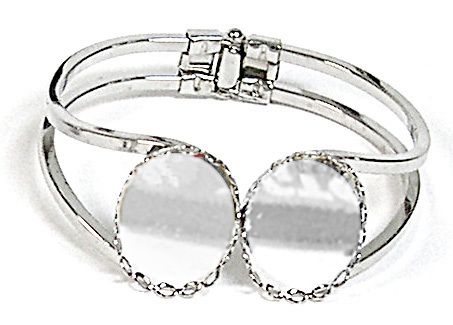 with bright SILVER finish that resists tarnishing. Has two findings that are 1" x 5/8" ovals. Findings have open scalloped rims. Hinge is self-closing. 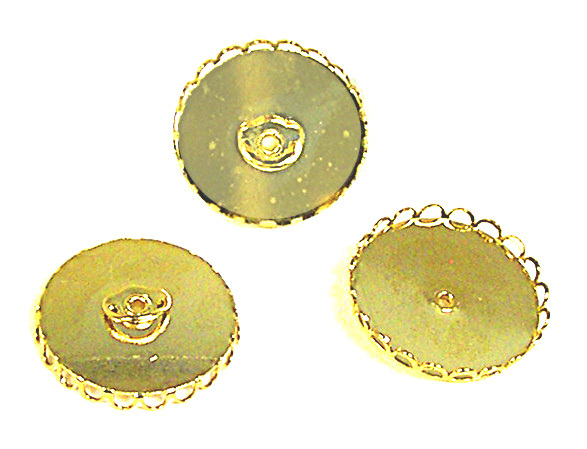 Bracelet opening is 2-1/4" x 1-3/4". Stamped metal and solid square wire. 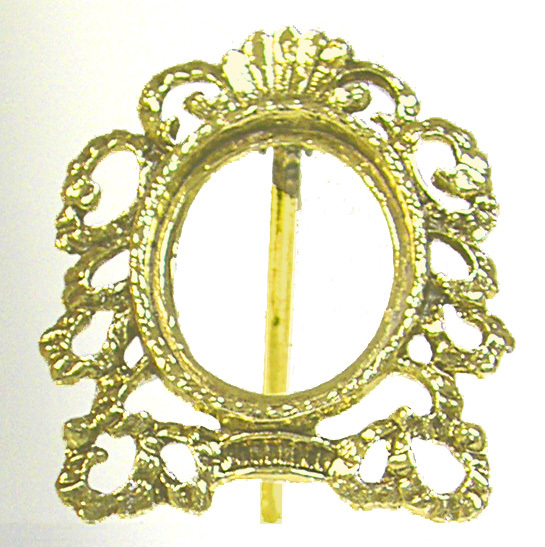 G) Oval Frame with Leg is LIGHT GOLD with antique finish that resists tarnishing. 2-1/2"H with room for a 1-1/2" x 1-3/16" insert. Cast metal.